I just updated my iPhone 4s to iOS 5.1.1 because a jailbreak for it has been released c/o Absinthe 2.0 by greenpois0n . My iPhone's previous version is iOS 5.0.1 and the update and jailbreak went on without a hitch. 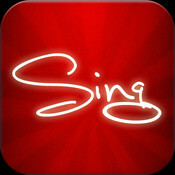 Sing Something is a new app or game for iOS developed by Cuketa. It was released 5 days ago with a gameplay very similar to Draw Something but instead of drawing, you sing and earn points along with your partner. Its free to download and play. Right now there is a small number of song selection but according to their facebook page they will be constantly adding songs and categories.